Sarah Taylor's illustrations come to life on the page as you unwind and colour them in. This book focuses on the patterns of the natural world of animals, flowers and geometric designs. This colouring book allows you to colour and relax with individual or interactive designs. 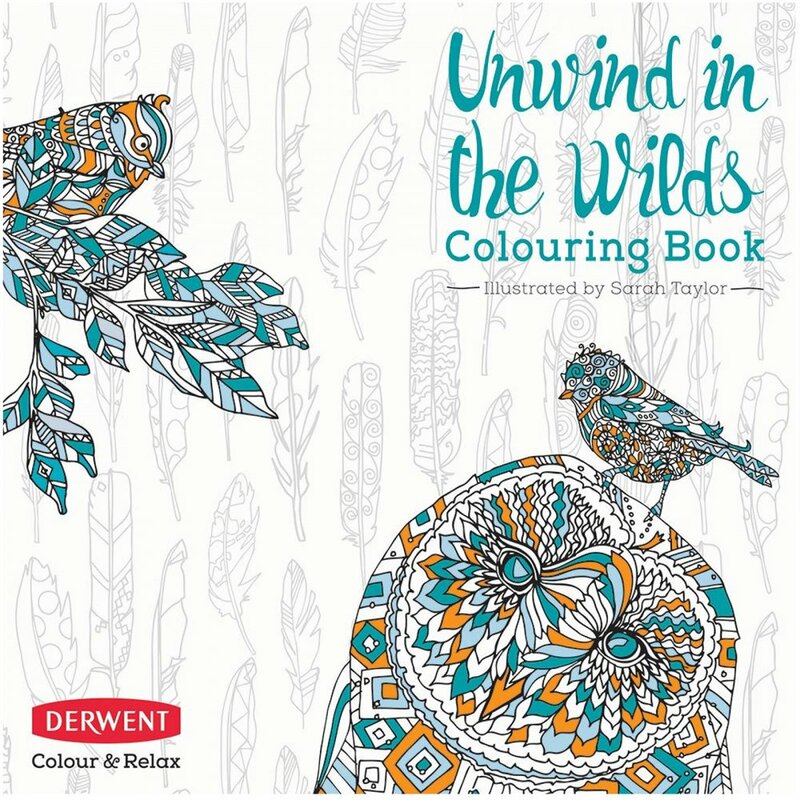 Showing 3 Derwent Unwind In The Wilds Colouring Book*** reviews. Average rating of Excellent. Would you like to write a review? Great little book from derwent. Even better is the fact it was free. I'm giving it to my 11 year old niece. Decent paper quality. This is a lovely book for sitting and relaxing with. There are a good range of pictures and some easier than others so something for every mood. Excellent Service! Great quality paper with lovely animals and nature illustrations, there are also some useful hints and tips at the beginning of the book.